President Donald J. Trump stops to talk to reporters and members of the media as he walks to Marine One to depart from the South Lawn at the White House on Friday, March 22, 2019 in Washington. (Washington Post photo by Jabin Botsford). Special counsel Robert Mueller has concluded his investigation without charging any Americans with conspiring with Russia to interfere in the 2016 campaign and help elect Donald Trump. But hundreds of pages of legal filings and independent reporting since Mueller was appointed nearly two years ago have painted a striking portrayal of a presidential campaign that appeared untroubled by a foreign adversary’s attack on the U.S. political system – and eager to accept the help. The president has adamantly insisted there was “NO COLLUSION,” as he has frequently tweeted. And before the conclusion of Mueller’s inquiry, Republicans pointed to comments from Senate Intelligence Committee Chairman Richard Burr (R-N.C.), who in February asserted that a lengthy investigation of the campaign by his committee has not located any direct evidence that anyone associated with Trump’s campaign coordinated with Russia. 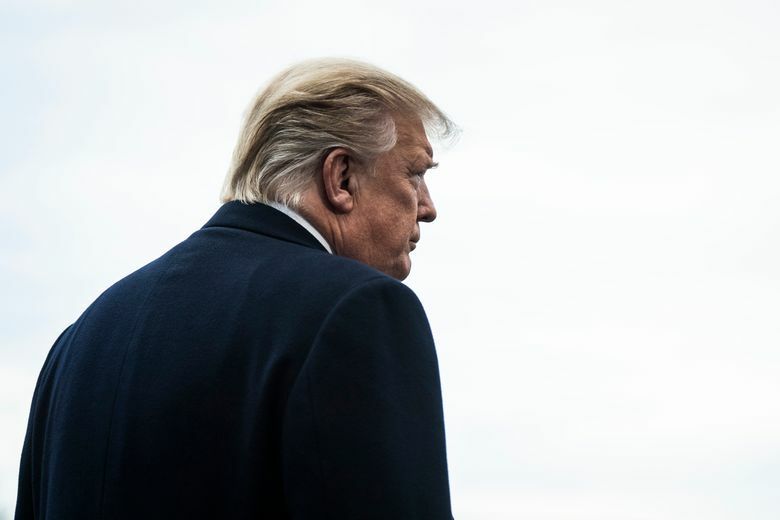 Only a release of Mueller’s report – which is not guaranteed – would fully answer where those inquiries led. John Sipher, a former CIA officer who ran agency operations in Russia, said that counterintelligence investigations – which is how the Russia probe began – rarely lead to criminal charges, because they are largely intended to piece together information carefully and professionally hidden by foreign intelligence professionals. The continued use of the word “collusion” is distressing to former federal prosecutor Andrew C. McCarthy, now a columnist for the National Review. Soon after he declared his candidacy for president in June 2015, Trump repeatedly praised Russian President Vladimir Putin as a strong leader. Trump said economic sanctions against Russia would probably be unnecessary if he were elected. And he echoed Russian talking points, criticizing NATO and the European Union. In July 2016, he said the people of Crimea – a region annexed by Russia from Ukraine in 2014, sparking international condemnation – preferred Russia. At the same time, there were interactions behind the scenes between Trump advisers and Russians that Moscow may have perceived as subtle messages that the Republican candidate would welcome Kremlin assistance. Mueller’s investigators have turned up repeated episodes in which Trump’s advisers – both on the fringe of his orbit and in his inner circle – discussed the presidential campaign with Russian nationals and, at times, appeared eager for help from Russia. In all, Russian citizens interacted with at least 14 Trump associates during the campaign and presidential transition, public records and interviews show. One of the first to be approached was a low-level Trump foreign-policy adviser, George Papadopoulos, who was told by a London-based professor in April 2016 that the Russians held damaging information about Clinton in the form of thousands of emails, according to court filings. The professor then connected Papadopoulos to a Russian think-tank director, and Papadopoulos worked for months in an ultimately unsuccessful effort to use his new connections to secure Trump or campaign aides meetings with Putin or Russians officials. Court documents show that Papadopoulos kept his campaign supervisors briefed along the way. “Make the trip if it is feasible,” campaign co-chairman Sam Clovis told Papadopoulos in August 2016, as the young aide advocated meeting with Russian officials in London or Moscow. Clovis’s lawyer has said he was just being polite. Meanwhile, Manafort, the man at the top of the campaign, was having ongoing interactions with a longtime Russian associate, the special counsel’s investigation revealed. Manafort, who had deep connections in Ukraine and Russia because of a decade spent as a political consultant in Kiev, communicated with the Russian throughout the six months he worked for Trump. The Russian was a Manafort employee who Mueller’s prosecutors have said had ties to Russian intelligence, according to court papers. In July 2016, Manafort instructed the employee, Konstantin Kilimnik, to offer private campaign briefings to a Russian business mogul to whom Manafort owed millions of dollars. The businessman, Oleg Deripaska, who is close to Putin, has said he never received Trump campaign briefings. By August 2016, court documents show, Manafort had shared campaign polling data with Kilimnik, for reasons not yet publicly understood. Manafort was convicted of eight counts of bank and tax fraud in a trial in Virginia in August and in September pleaded guilty to other charges in Washington: conspiring against the United States and obstruction of justice. The 69-year-old was sentenced this month to a total of 71/2 years in prison. Meanwhile, Trump’s personal attorney Michael Cohen was aggressively seeking the consummation of a long-held Trump dream of building a Trump Tower in Moscow. Cohen pursued the idea well into the 2016 campaign, and, at one point, spoke directly to a Kremlin aide to ask for government assistance in advancing the lucrative project, prosecutors revealed in November. Cohen and Trump business associate Felix Sater perceived the project as a way to boost Trump’s presidential ambitions by demonstrating his close ties to a world leader, their communications show. Many of the Russians who made contact with Trump advisers claimed to have material that would hurt Clinton’s presidential bid. Stone accepted a May 2016 meeting in Miami with a Russian man who had offered damaging information about the Democratic candidate. Stone declined the offer after hearing that the man wanted $2 million for his information and has since alleged that the meeting was an FBI setup. Records show the man had worked previously as an FBI informant, though there is no evidence he was serving in that role at the meeting with Stone. Weeks later, Trump’s son Donald Trump Jr. and Trump’s son-in-law, Jared Kushner, met with a Russian lawyer in New York’s Trump Tower after Trump Jr. was told she had incriminating information on Clinton that was being offered as part of the Russian government’s support for the GOP candidate. The lawyer has said she was not working on behalf of the Russian government. Trump Jr. and Kushner have said she did not provide any information about Clinton during the 20-minute session, held in a high-level conference room at Trump Tower. Details about the episode have emerged in media reports and congressional testimony but were not cited by Mueller’s prosecutors in court. Damaging information about Clinton and Democrats did arrive via the stolen Democratic emails published online by WikiLeaks in July and October 2016. Publicly, Trump’s campaign cast doubt on assertions – made first by Democrats and later by U.S. government officials – that the material was stolen and distributed as part of a Russian plot. On the very July 2016 evening that Trump held a news conference and mockingly called on Russia to try to find emails Clinton had deleted from her private server, Russian operatives hacked the servers of Clinton’s personal office for the first time, according to court documents. Mueller’s investigation has also turned up new details about the campaign’s quest to get intelligence on WikiLeaks’ plans. Court documents show that after the group released Democratic Party emails in July 2016, a senior Trump campaign official was directed to press Stone to try to discover what else WikiLeaks held. Stone “communicated with members of the Trump Campaign about [WikiLeaks] and its intended future releases,” Mueller’s prosecutors alleged in court documents. Stone has pleaded not guilty. He and WikiLeaks have repeatedly denied that they communicated about the group’s plans. After Trump was elected in November 2016, his aides began back-channel meetings with Russian emissaries, The Washington Post has previously reported. Kushner met the following month in New York with the chairman of a Russian bank who Kushner was told could help restore ties between the two countries. He also discussed with Russia’s ambassador in Washington the possibility of setting up a secret and secure communications channel between Trump’s transition team and the Kremlin. In late December, when the Obama administration imposed new sanctions on Russia for its interference in the campaign, incoming national security adviser Michael Flynn called the Russian ambassador, urging Moscow not to retaliate. Flynn then lied publicly and to the FBI about the conversation, he later admitted. Mueller has not so far connected these episodes to Russia’s election interference. But Russia experts have said that the Kremlin might have seen the warm reception from Trump’s aides as a sign that Russia’s efforts to help elect Trump would be rewarded with desirable policy outcomes. Things have not worked out that neatly. Economic measures put in place to punish Russia for its 2014 incursion into Ukraine remain in place, as well as new sanctions applied in retaliation for the interference in the election. But Trump has continued to resist assigning blame to Putin for Russia’s activities during the election and dragged his feet as Congress sought new sanctions. He has continued to denigrate NATO and stunned even GOP loyalists by appearing subservient to Putin at a summit in Helsinki in July. The Post reported in January that Trump has gone to extraordinary lengths to conceal the details of his face-to-face meetings with Putin even from his own staff, including once confiscating the notes of his translator after a meeting ended.